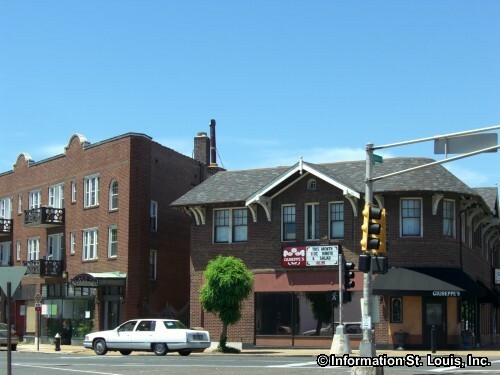 The Dutchtown Neighborhood is located in southeast St. Louis City. The boundaries are Chippewa to the North and the Missouri Pacific Railroad tracks to the west. From the tracks going east, Walsh forms the lower southern edge. North on Compton forms one eastern edge, then east on Meramec forms the upper southern edge, with Broadway back to Chippewa to form the other eastern edge. 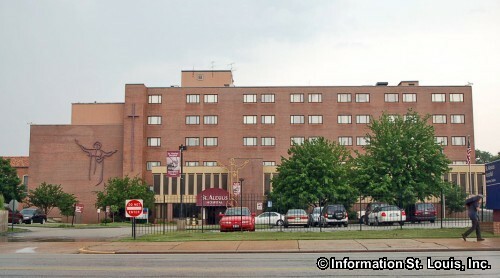 The St. Louis Public School District serves the residents of the Dutchtown Neighborhood. 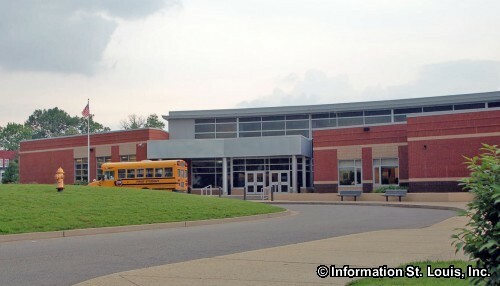 This public school district has two schools located within the community. One of them is Carnahan High School which is named in memory of the late Missouri Governor, Mel Carnahan. 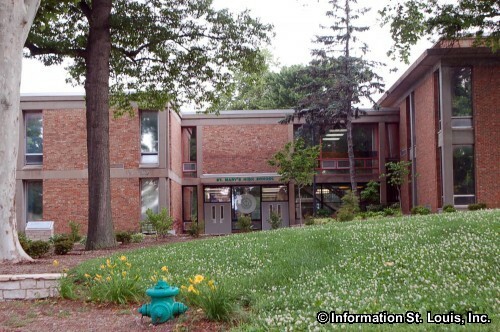 It was opened in 2003 as a middle school but made the change to a high school for the 2006/2007 school year. 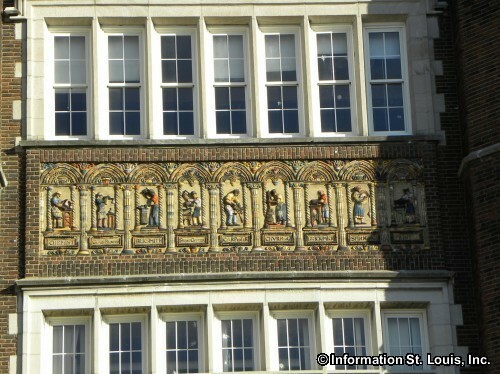 The other school is Meramec Elementary School which was opened in 1911 and designed by the famous St. Louis architect, William B. Ittner. The private Catholic school, St. Mary's High School, is also located in Dutchtown. 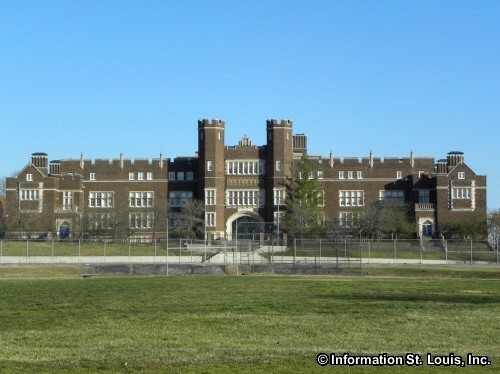 The beautiful Cleveland High School, one of the 45 plus St Louis Public School District schools designed by William B. Ittner, opened in 1915 but was closed in 2006 and still waits to be re-purposed or reopened, but hopefully not demolished! 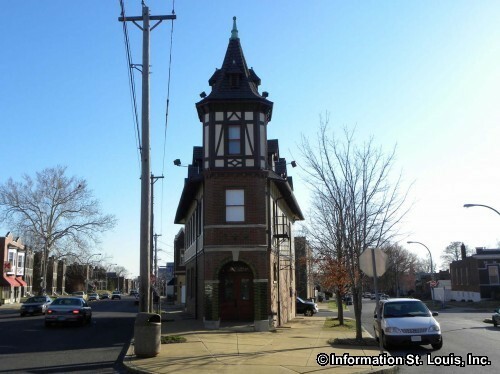 Dutchtown has several St. Louis City Parks located within its boundaries. Marquette Park is the largest of them and features almost 17 acres of parkland, the Dunn-Marquette Rec Center, softball fields, a swimming pool, tennis courts, soccer fields, and playgrounds. Amberg Park is another smaller park with 2.76 acres of parkland and features a seasonal spray pool as well as a playground and athletic fields for soccer and softball. Another park in the neighborhood is the Minniewood Park that has 4.5 acres of parkland, a seasonal spray pool, a pavilion and picnic facilities, a playground, and athletic fields for softball, baseball and soccer. 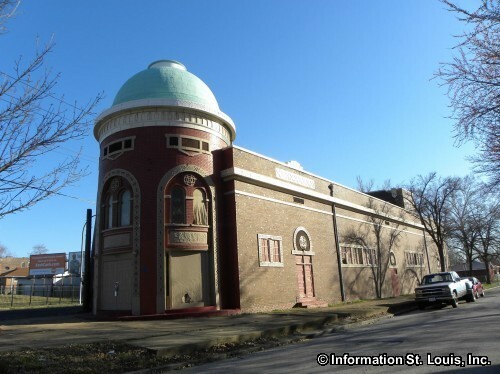 Laclede Park is another park in Dutchtown and features just over 3 acres of green space with a large pavilion, playground, ball fields and is the oldest park in the neighborhood having been set aside for use as a park in 1812. 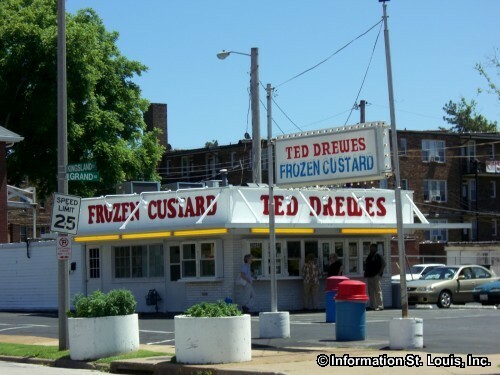 Dutchtown is fortunate to have one of the two locations of the most famous of all St Louis' treats, Ted Drewes Frozen Custard. The stand is located on South Grand which was opened in 1931. The second Ted Drewes location is on Chippewa in the St Louis Hills Neighborhood and opened in 1941. The South Grand Ted Drewes is only open during the summer months, whereas the Chippewa stand is open February through December. Another local store serving up treat is Merbs Candies, located on South Grand since 1945, and are famous for their Bionic Apples in the fall and other seasonal treats throughout the year. A landmark that is located in the neighborhood on a small wedge of land surrounded by Taft, Idaho, and Virginia Avenues is a curious triangular shaped building that has been placed on the National Register of Historic Places. 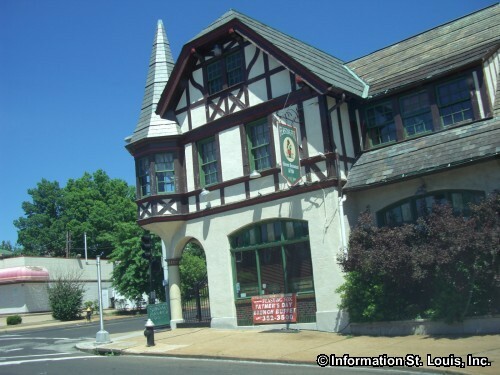 The building was originally the Stork Inn, built in 1910 in a Tudor Revival style for August A. Busch as one of several biergartens, restaurant taverns, he would build. The Stork Inn was designed by the brewery's preferred architectural firm of Klipstein and Rathmann and was Busch's way of countering the swell of the prohibition movement by building up the image of the brewery in the eyes of the neighborhood residents. Busch's Inn, now the Feasting Fox, was another biergarten located on South Grand in Dutchtown. 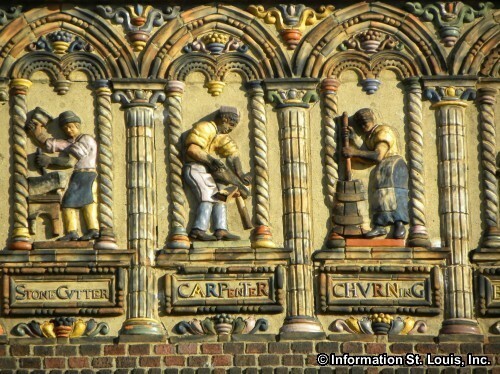 The most well known of Busch's biergartens is the Bevo Mill located in the Bevo Mill Neighborhood.